A Samsung Galaxy Camera arrived on my rain-covered doorstep this afternoon, instantly turning my Instagram account into the greatest the world has ever seen. OK, that may be a bit of a stretch. But this product does help usher in a new era of photography and sharing. 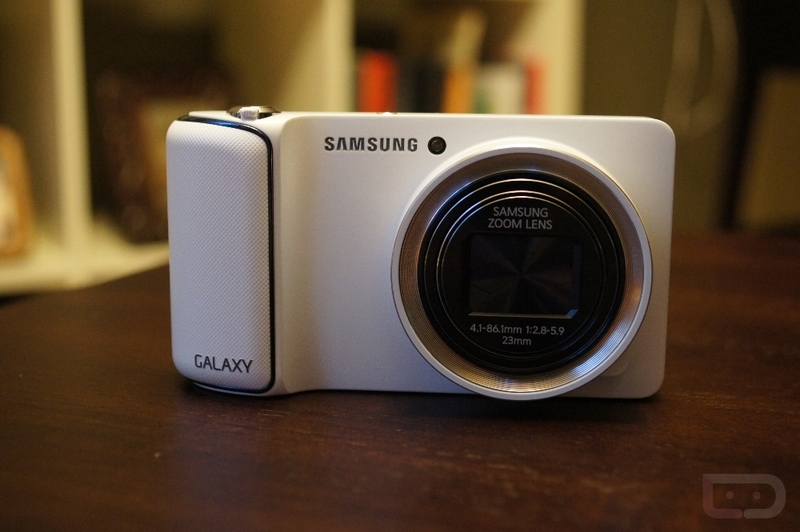 With the Galaxy Camera, you get a full version of Android 4.1, Samsung’s TouchWiz UI, a quad-core processor, 4.8″ HD Super LCD display, and HSPA+ connectivity, so that you can share your photographic skills from anywhere in the world. You also have access to the Google Play store, which includes every app that your current smartphone and tablet can run. The only thing not included in this device, is the ability to make calls. Yeah, it’s impressive. We’ll have a full review of the device in the coming weeks, but to help kick off our coverage, wanted to quickly unbox the device, walk through the outside, and then flip through a couple of screens. So far, I’m impressed at what Samsung has done here. They combined specs that are only seen in top-of-the-line smartphones with a real point and shoot camera. The UI works flawlessly, the screen is beautiful, and the build quality feels much better than many of their products. “How is the camera?” you ask? That will take some time to test.